Automation & Security are the premier business solution for security systems in North Tyneside. Whatever your perimeter security needs whether it’s electric gates, barriers or bollards, get in touch now. 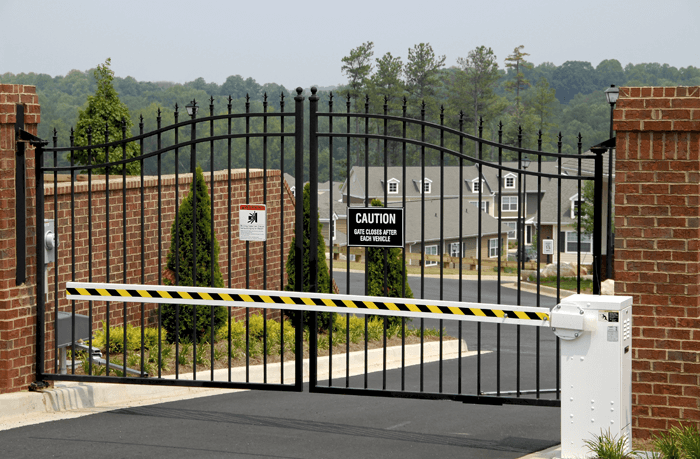 Electric automated gates come in a variety of styles and finishes and they can help find the right solution for you or replace your existing security gates. Whether it’s swing gates, cantilever or sliding gates they have been supplying, delivering, installing and maintaining security products for the last 20 years. Bollards act as a barrier to either pedestrians or vehicles from areas of your property. Automation & Security provide either static or retractable telescopic bollards to help keep the aesthetics of the building intact but can be activated as required. These can be lowered or raised as needed and are great for emergency access. Bollards are suitable for businesses such as exhibition centres, golf clubs, hotels, shopping centres and car dealerships. If you are after a higher impact solution, Automation & Security can provide anti-terrorism products for those premises that are at risk of ram raid. These products can withstand impact at even higher speeds. With the increases of flooding in the UK, businesses are suffering from the devastating damage flood water can do. Automation & Security provide a wide range of flood gates to keep the weather at bay.